Coffee: the key to a student's success. I was never a fan of coffee growing up. 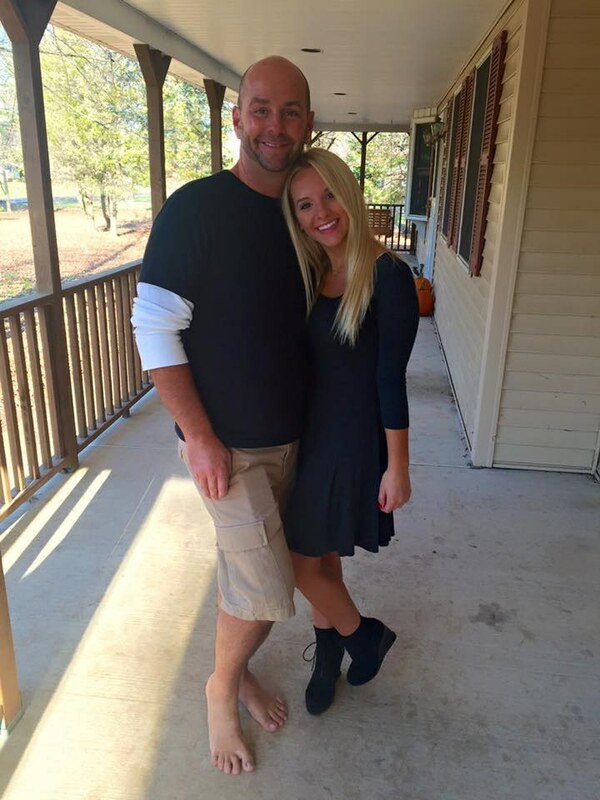 My parents drank multiple cups in the morning and the smell bothered me; not only that, I hated the bitter taste. That flipped when I entered high school and realized that I needed that little extra boost. I began drinking iced coffee and slowly fell in love with it. Nothing got me through high school like my trips to Dunkin on the way to school. When I was busy volunteering at my local elementary school, nothing helped me deal with hyperactive fourth graders like my iced coffee. Here are my favorite coffees. 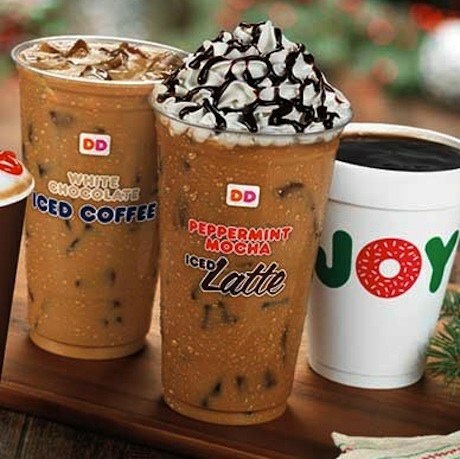 You know the holiday season is approaching when peppermint mocha is back on the menu at Dunkin Donuts. The worst day of the year is when this amazing drink is off the shelves, not only because you have to wait 12 months for another, but also because it means the holiday season has come to a close. Pumpkin is the first sign of fall. I know I speak for many when I say I am always excited to see this classic fall beverage back at Dunkin. 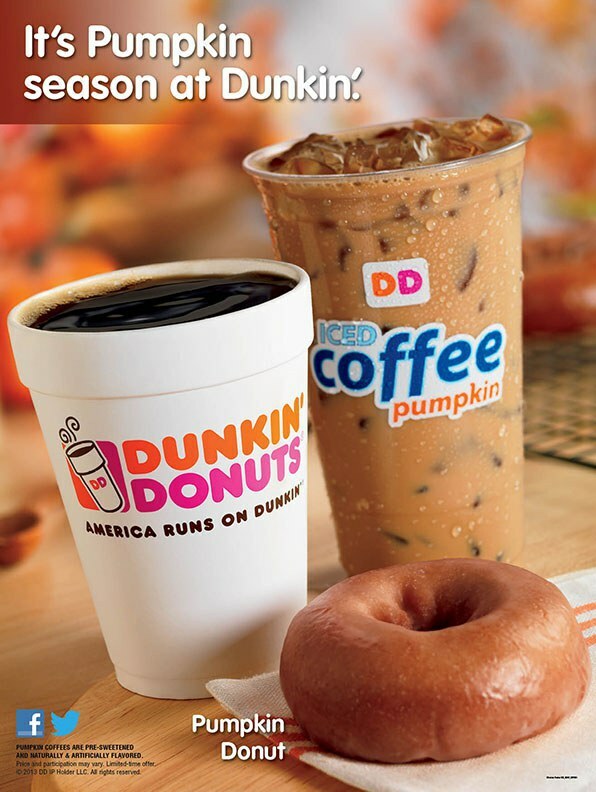 They have created many varieties of this beverage including pumpkin mocha and pumpkin salted caramel; however, nothing beats a pumpkin iced coffee in hand as you participate in apple picking, pumpkin picking, and any other fall activity you come across! Dark chocolate mocha was the first iced coffee that I ever tried. I fell in love immediately. This drink has not been available at Dunkin since 2013 and I was very sad when it left. This creamy beverage was definitely my favorite and I was very sad to find out that it was a specialty for the season. 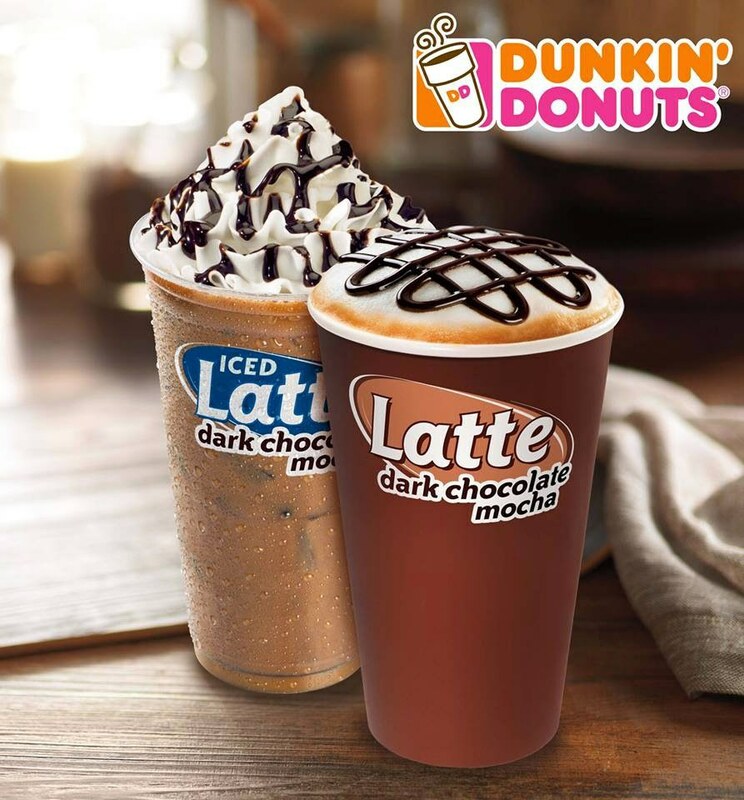 I would definitely like to see this back at Dunkin Donuts sometime soon! Whenever I tell someone that I am drinking blueberry coffee, they give me the strangest look. Honestly, if someone told me a year ago that they were drinking blueberry coffee, I would give them an equally as strange look. A friend of mine suggested it and I figured I would give it a shot. 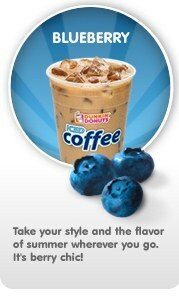 Dunkin’s blueberry coffee smells and tastes amazing. As soon as you take a sip, you are greeted with an amazing blueberry flavor. The best part is that it’s available all year round! 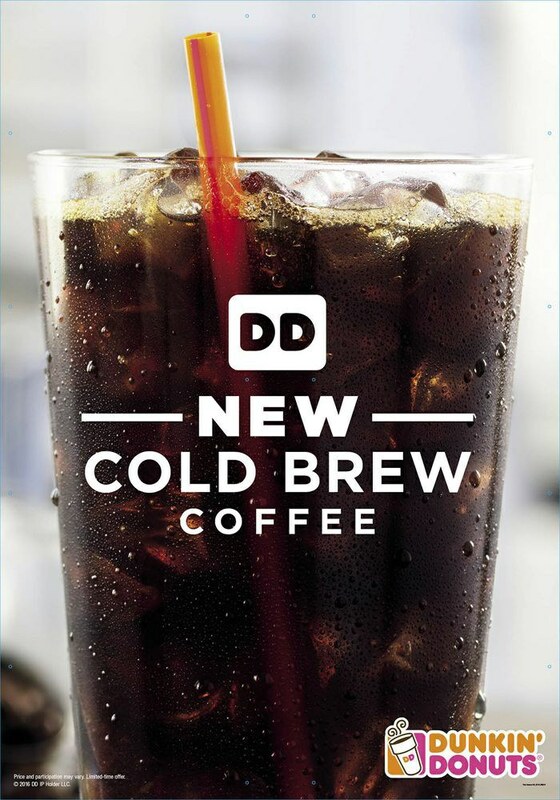 Dunkin Donuts just recently rolled out cold brew coffee and it is amazing. This coffee can be mixed with any flavor. This creamy coffee is fantastic because it is not watered down like regular iced coffee. This coffee tastes stronger and smoother than regular coffee. Iced coffee got me through high school; everything from early morning club meetings to AP exams. Now that I am in college, I unfortunately do not have access to a Dunkin Donuts as easily as before. I find that I am desperate enough for coffee that I will drink whatever is available in the dining hall. As soon as I am off campus, Dunkin Donuts is always stop number one!